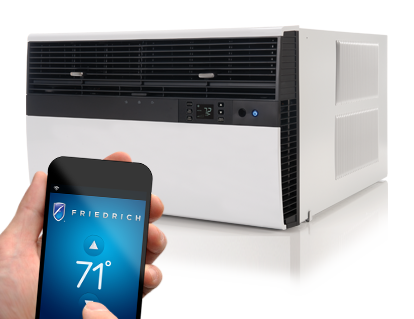 There are important benefits to be gained by having your air conditioner stored during the Fall and Winter seasons. The unit's life will be extended and you will avoid wintry drafts in the room. Furthermore, the cleaning process may reveal a health-related problem. Even in clean environments, dirt and pollution can accumulate inside the unit and on the parts, as well as on the outside. Pollution can fester, leading to impure, germ-filled air. Who, especially asthmatics and persons with allergies, wants to breathe air like that? An Air-Wave thorough cleaning will rid the unit of dirt and pollution, restoring the air conditioner's ability to produce cool, clean, healthy air. 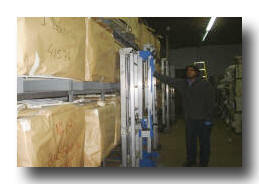 Air-Wave's storage program is thorough, The unit is removed and brought to our facility. We chemically steam clean the unit, oil the motor, remove rust, and treat the air conditioner with rust-resistant paint (watch the video). Air-Wave checks for Freon leaks (so that efficiency will not drop and to prevent costs from rising). 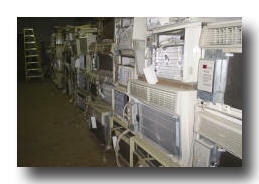 Air-Wave lubricates, wraps, and then stores the air conditioner in a separate bin in the company 's heated warehouse.